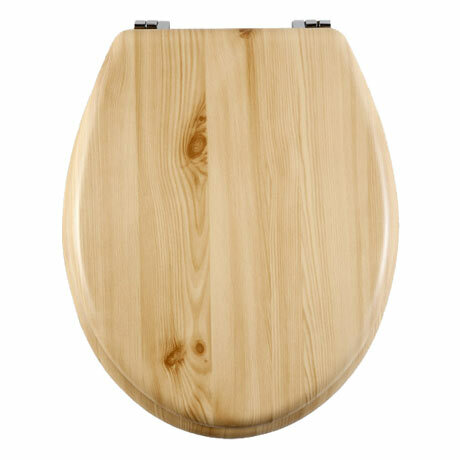 This Natural wooden toilet seat is made from pressed wood fibres to form a comfortable, easy to wipe down seat. With zinc chrome hinges, this sturdy and robust seat can support up to 150kg. Aqualona's range of MDF seats consist of plain colours and patterns, which coordinate well with their shower curtains.